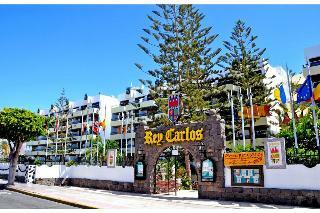 Find huge deals in Gran Canaria, Spain that you may book now & pay later! 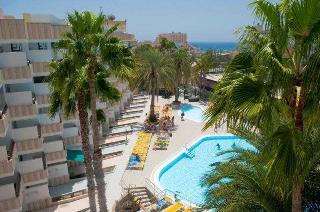 Best prices for in Gran Canaria, Spain. A dream vacation for you and your family, guaranteed by our travel consultants. For members-only deals, we recommend using the new filter for deals in Gran Canaria, Spain. These apartments are situated in the tourist centre of Puerto Rico, within easy reach of the beach and a wide variety of shops, cafes, bars and restaurants. The nightlife in the area has much to offer. This complex enjoys an excellent location, just steps away from the protected dune area of Maspalomas and directly on the beachfront, approximately 500 m, of Playa del Inglés. Guests will be able to find a variety of restaurants, bars and shopping sites as well as entertainment venues. Public transport links are located at approximately 300 m away and the main shopping centres are about a 10-minute walk from the aparthotel. This is a great place for groups of friend and youngsters. 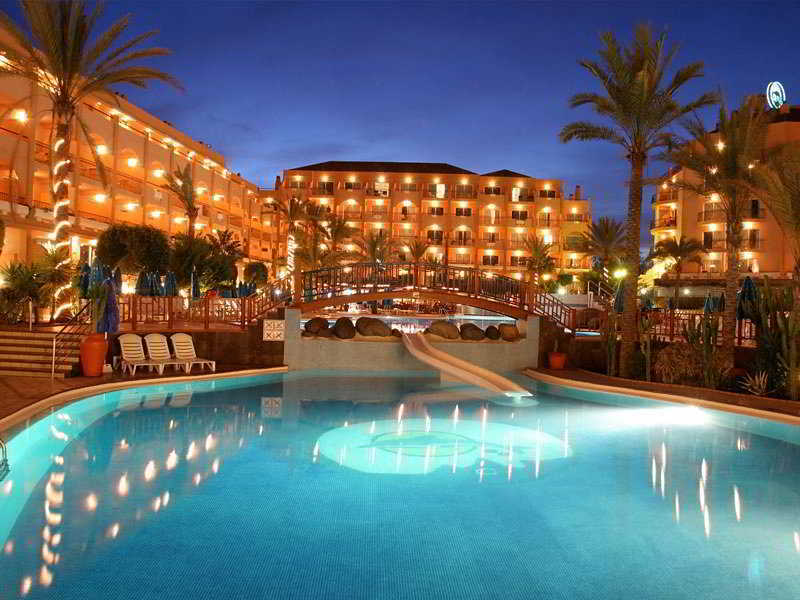 This suite hotel is centrally situated in the vibrant holiday resort of Playa del Inglés on the southern coast of Gran Canaria. 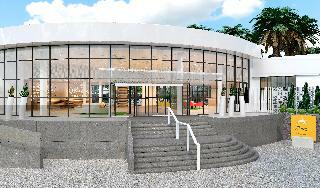 It features an outdoor pool, children's pool, wellness centre, restaurant and various bars. 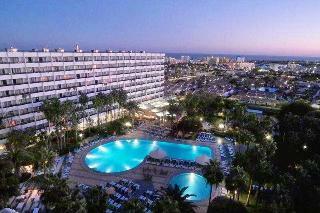 The lovely beach is just a short walk away; shopping centres, restaurants, bars and pubs are in the vicinity. 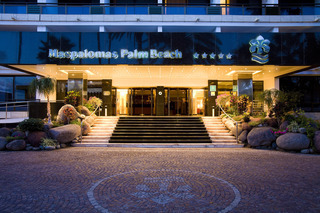 The famous sand dunes and the golf course of Maspalomas are within walking distance. 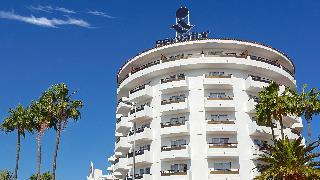 This iconic hotel is excellently situated right on the beautiful sandy beach of Las Canteras in the capital of Gran Canaria. A large variety of shopping and entertainment venues such as the Alfredo Kraus Auditorium can be found in the vicinity. The hotel features a rooftop pool with panoramic views, a gym and a spa which enjoy spectacular views as well, 2 bars and 2 restaurants, one of which offers a fusion of Asian and Peruvian cuisine. 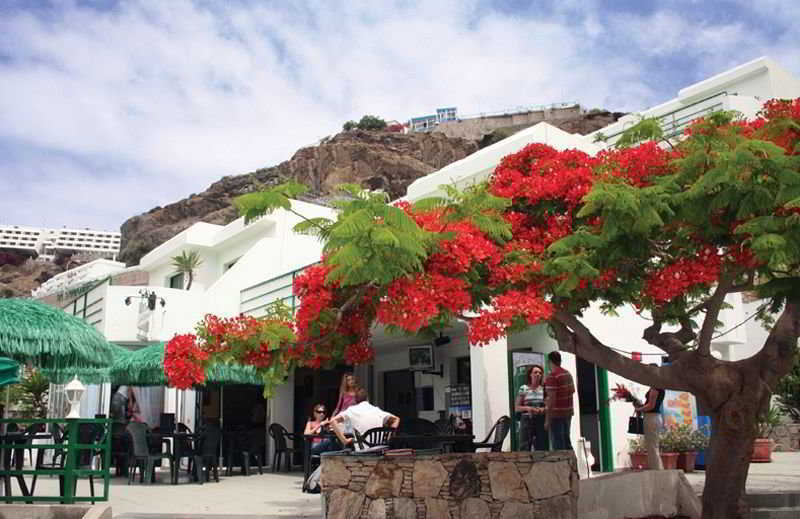 This great modern hotel is situated front line in the small fishing village of Arguineguin in the south of Gran Canaria and enjoys breathtaking sea views. It features a pool area, an excellent spa & wellness centre, a state-of-the-art fitness centre, a kid's club, a restaurant and several bars. 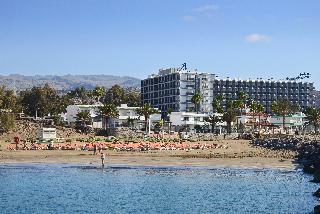 The international airport of Gran Canaria can be reached within a 30 minutes' drive. 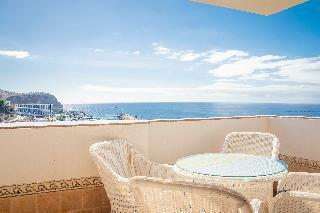 This attractive apartment complex is conveniently situated in the popular holiday resort of Puerto Rico on the island of Gran Canaria, enjoying lovely views over the bay. 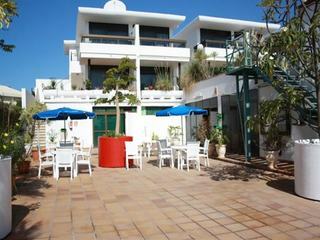 It features a great pool with children's section, poolside bar and sun terrace. The fantastic sandy beach with the turquoise water is just a few steps away; the town centre with its array of shops, boutiques, countless bars, restaurant and buzzing nightlife is within minutes. 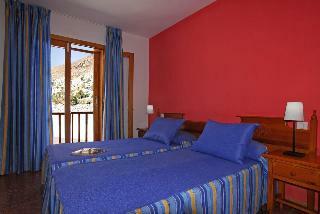 Partly renovated in 2007, this hotel comprises a total of 346 double rooms spread over 9 floors. Facilities include a lobby with a 24-hour reception desk and lifts. There are also 2 bars, a nightclub, a TV room and an air-conditioned à la carte restaurant with a separate non-smoking area. A conference room, public Internet terminal (additional fee), room, laundry and medical services and a car park round of the hotel's facilities and guests may relax in the complex's bewitching grounds. This bungalow complex, nestled in the centre of the touristic area, is situated very close to the sand dunes of Mas Palomas. The closest sandy beach is around 2 km away. 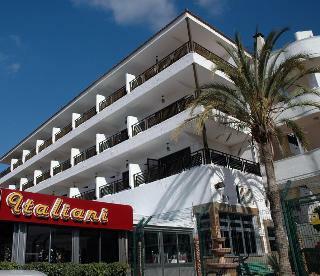 The nearest public transport stops are located within walking distance from the hotel. 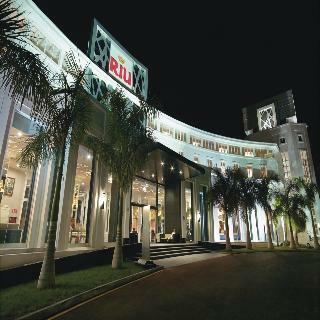 Guests will find numerous shopping venues, restaurants, bars and a vibrant nightlife spots within the area. The Faro II shopping centre is approximately 1 km away. This hotel is located in the popular holiday resort of Playa del Inglés on the island of Gran Canaria, only 100 m away from the beach. A large variety of bars, restaurants, pubs and nightclubs can be found in the immediate vicinity. The hotel features an outdoor pool, children's pool, sauna, steam room, sports facilities and a rooftop terrace with panoramic views over the sea. At dinner time it's mandatory full length trousers for men. 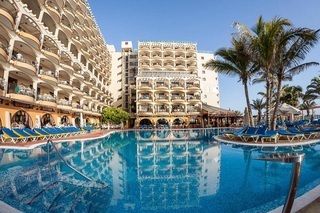 This attractive hotel is ideally located in the popular holiday resort of Playa del Inglés in the south of Gran Canaria. 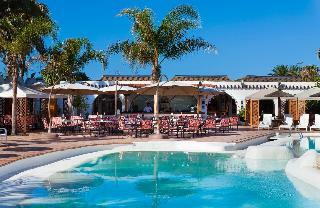 It features an outdoor pool, an excellent spa area, a gym, a restaurant and three bars. The resort centre with countless shops, restaurants, bars, pubs and entertainment options is within a short stroll; the hotel offers a complimentary shuttle to and from the beach. 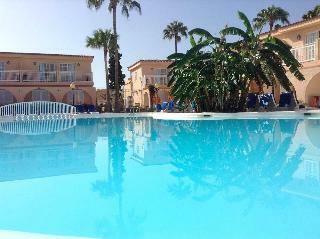 This apartment complex, built in 1989, enjoys a great location in the renowned touristic area of Maspalomas. The closest sandy beach can be found at approximately 3 km. Within the area guests will be able to find a variety of shops, bars, restaurants and shopping sites. The nearest public transport links can be found at around 20 metres from the complex. This is a great place to spend a few days with the family or with friends. Situated in the popular area of Puerto Rico, and only a stroll from the beach and a few minutes from the shopping centre with bars, restaurants, shops and nightlife. 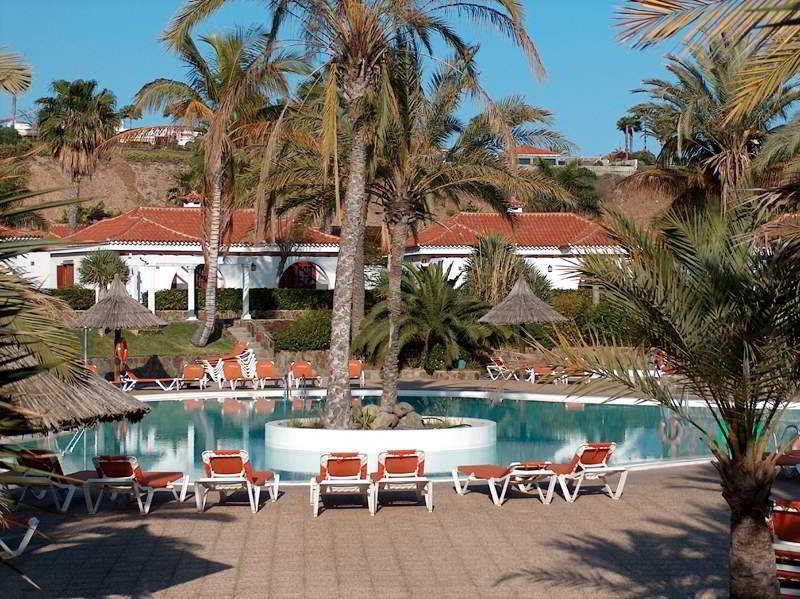 This bright and friendly complex consisting of Canarian style bungalows and apartments is situated in the renowned holiday resort of Playa del Inglés in the south of Gran Canaria. 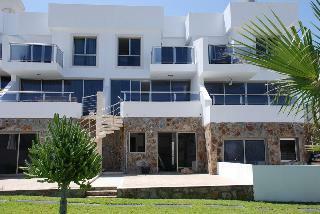 It features a pool, children's pool, large sunny terrace, tennis court and playground. 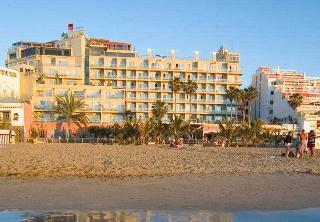 The resort centre can be reached within a 10-minute walk; the famous sandy dunes of Maspalomas and the beach are within walking distance. The international airport is 15 minutes away. 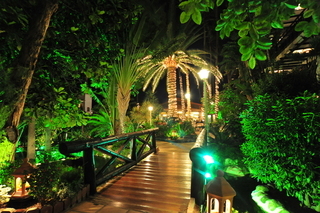 Situated on the highest spot of San Agustín in the south of the popular holiday island of Gran Canaria, this family-friendly hotel is set on more than 40,000 m2 of impressive subtropical gardens and enjoys spectacular views over the Atlantic Ocean and the famous sand dunes of Maspalomas. 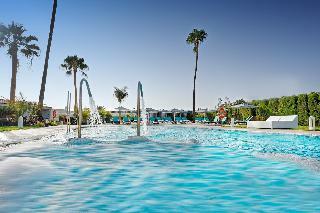 The hotel features 2 outdoor pools, sports facilities, playground, restaurant and various bars. 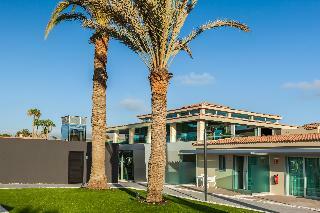 This bungalow complex is located in the center of the golf course of Maspalomas, close to the famous sand dunes and 3 km from the beach approx. It is ideal for family holidays. 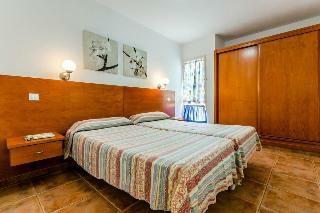 It is located about 40 km from airport.The Bungalows feature bathroom, living room and a separate bedroom. 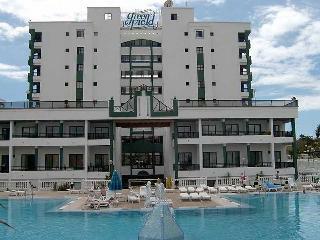 It has 3 swimming pools, sun loungers and parasols.